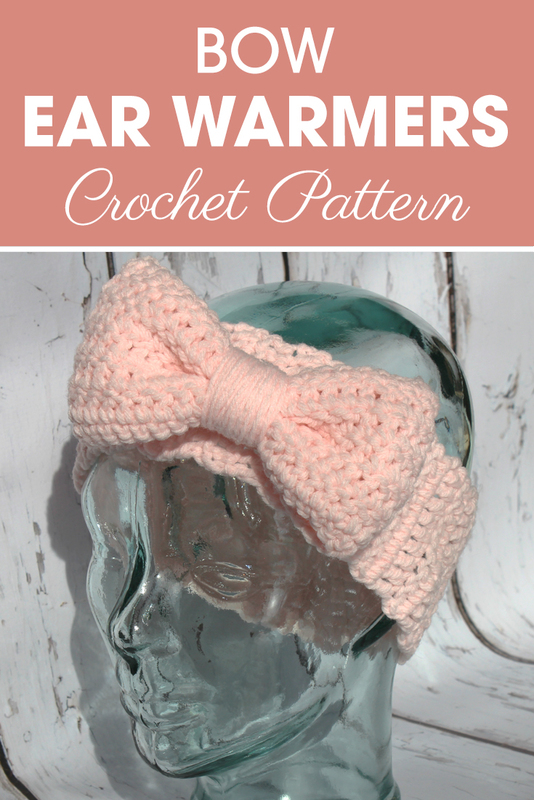 As some of you have already started working on Christmas gifts, you could make these bow ear warmers for someone special in your life. *These are our finished measurements. If yours doesn’t fit within these measurements, please check your gauge. We used vintage yarn: Kresege’s Green Oak, Sayelle, Baby Pink, 4oz. Pinch bow together on top and bottom, in the middle. Wrap yarn around the middle of the bow. 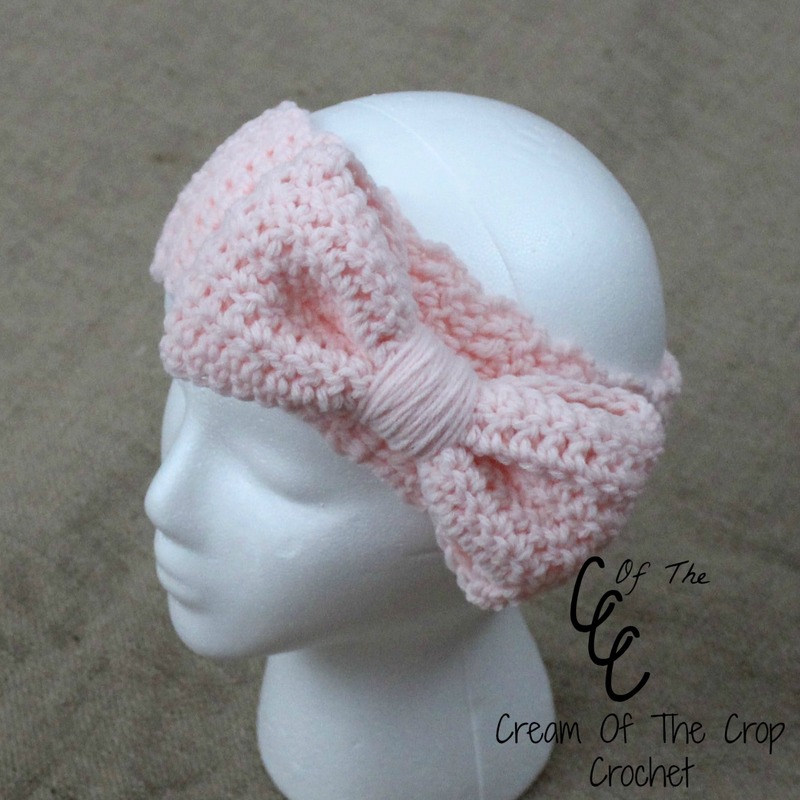 Attach bow to the side of the ear warmers with the yarn tails and yarn needle. Then take 2 scrap pieces of yarn to attach both sides of bow to the ear warmers with a yarn needle. I will be teaching a crochet class in the fall to a group of seventh grade students. I would love to use your pattern as part of my teaching unit. Could I have permission to use this pattern?